The most important factor for all physicians who have to read imaging studies frequently is selecting the appropriate reading station. Continuous improvements to the software combined with intensive testing in IMAGE Information Systems’ quality assurance labs guarantee that RPACS’s high level of stability is maintained. Low maintenance costs ensure the quick amortization of your investment. A worldwide network of manufacturertrained service engineers guarantees a running reading solution around the clock. The BASIC version was developed as a reading station for all physicians such as orthopedic surgeons, chiropractors, veterinarians and internal specialists, while RPACS PRO is optimized for which allows the creation of individually customizable hanging protocols. As a result, studies and images can be loaded automatically as the radiologist wishes to read them. On a system with an RPACS-GRAFIX hardware graphics accelerator RPACS PRO can manage any display resolution up to 5 MP on dual monitor systems with a high performance. RPACS PRO is also the world’s first full 12 bit image processing solution The viewer can display images with their full gray depth up to 4096 shades when using IMAGE DISPLAYS. 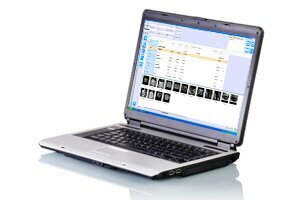 RPACS can be integrated into virtually any RIS, EMR or HIS available on today’s market. 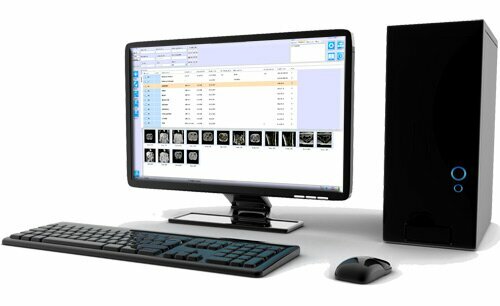 Smoothly integrated modules for 3D post-processing, nuclear medicine, orthopedic templating, image stitching and more equip specialty readers with required tools. RPACS is a powerful reading station, but it also includes many additional useful features. It can be used to read reports, to write imaging data and reports on CDs, DVDs or memory sticks, to print on Windows ® laser printers or DICOM medical imagers, to email any study to a colleague – even in diagnostic quality, or to attach scanned documents to a study.